Double hit on selective jettison will drop the TER as well. Emergency Jettison will drop everything pylons 1-7.
. Can anyone here confirm that?, is that true that F-16 can drop all of it's pylon in emergency situations. ? , is that capabilities unique to F-16 or all other fighter can do that? btw what is ERUs? On the F-16 the pylons do jettison with the 370 Gal tanks like the F-22 above. TER/BRU-57 are jettisoned AFAIK - but the MAU type pylon they attach to stays. basher54321 wrote: TER/BRU-57 are jettisoned AFAIK - but the MAU type pylon they attach to stays. so basically for example in the pictures below : the horizontal BRU-57 rack can be jettison but the vertical trapezium pylon cant be jettison .? Can something like MER, BRU-61 or the double missiles rack on F-18 be jettison? BTW, how much does a pylon cost? Yes exactly - someone would need to chime in whether the MAU-12 pylon can actually be jettisoned or whether a cartridge is just not installed for example. The Danish F-16AMs have AG pylons with internal jammers etc - so you wouldn't want to ditch those. KamenRiderBlade wrote: BTW, how much does a pylon cost? Although they create extra drag its unlikely to be worth jettisoning them in most cases. Today with A-G stores/pods and AIM-120s can engage at standoff range if ever required for A-A. The F-16 pylon containing a MAU-12 ejector rack (or more recent equivalent) is called a weapon pylon and cannot be jettisoned. There is no ejection mechanism, and the pylon is bolted directly to the wing. With a cartridge installed in the MAU, anything below the ejector rack can be jettisoned. For example, ECM pods are installed without cartridges, so cannot be jettisoned. Auxiliary racks like LAU, TER, MER, etc can be jettisoned. 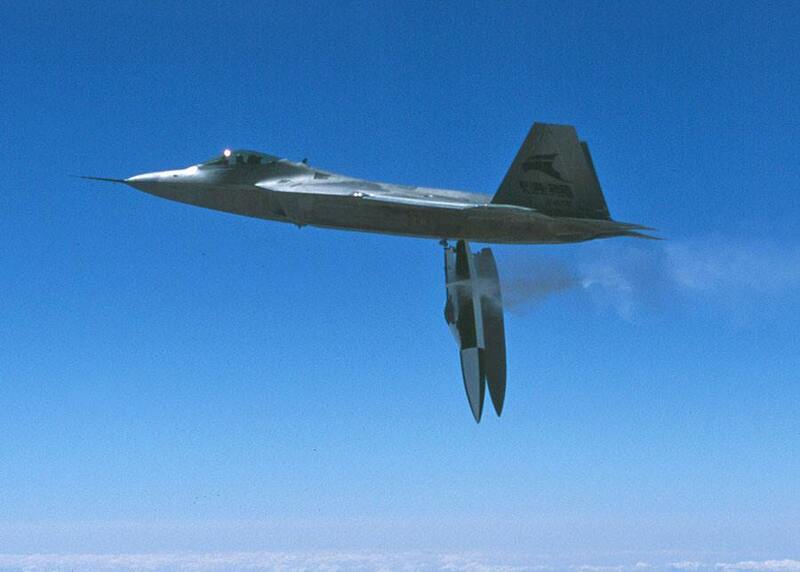 About terminology - jettison is either selective or emergency, ejection is dropping on a target. Selective, as it is implied, allows the pilot to select which items to jettison. Emergency is a one-button push that clears the wings of all jettisonable stores. There is no flight test verification of emergency jettison capability, so due to the possibility of store collisions, it is limited to 200 kt. airspeed. It is designed to be used right after takeoff or just before landing, following some kind of emergency condition, like engine failure. Drop tanks cost tens of thousands. They have a lot more steel than a pylon, but they don't need the same amount of wiring. A pylon holding a missile or bomb needs all sorts of wiring to interface with the jet. Doesn't seem anyone knows the breakdown (I once found an article about a drop tank contract, but I doubt there's separate pylon contracts, someone can correct me), but a pylon might not be much cheaper than a drop tank. basher54321 wrote: Although they create extra drag its unlikely to be worth jettisoning them in most cases. Today with A-G stores/pods and AIM-120s can engage at standoff range if ever required for A-A. johnwill wrote: The F-16 pylon containing a MAU-12 ejector rack (or more recent equivalent) is called a weapon pylon and cannot be jettisoned. There is no ejection mechanism, and the pylon is bolted directly to the wing. With a cartridge installed in the MAU, anything below the ejector rack can be jettisoned. For example, ECM pods are installed without cartridges, so cannot be jettisoned. Auxiliary racks like LAU, TER, MER, etc can be jettisoned.